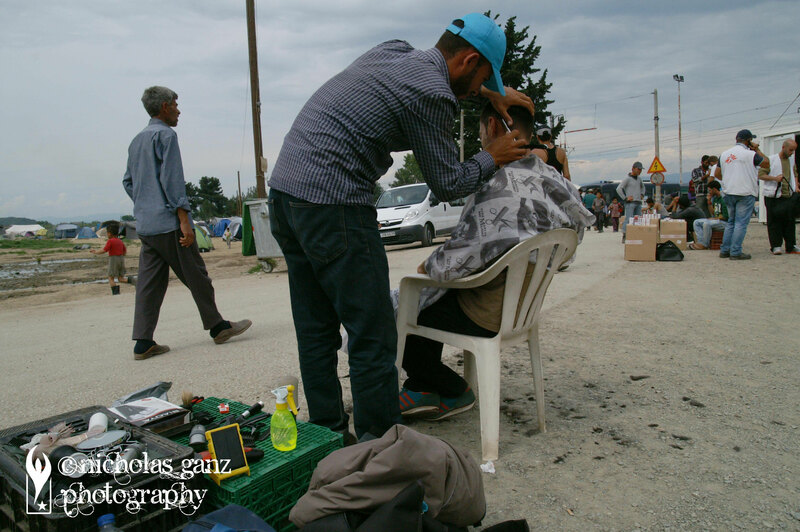 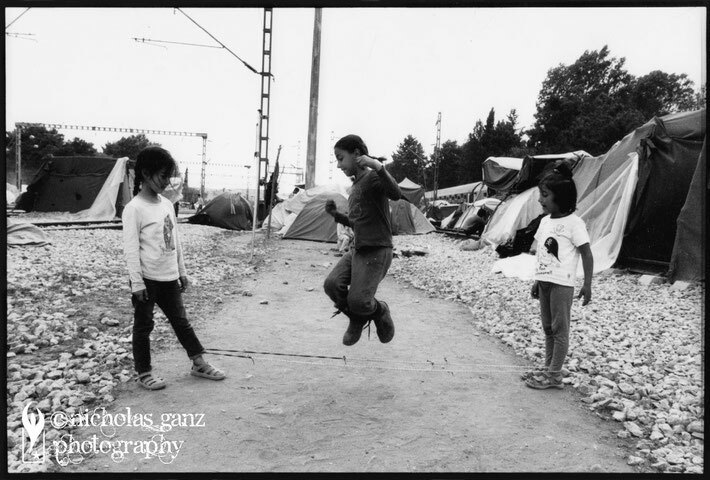 In the beginning of May, I travelled to Thessaloniki in Greece to document the situation of the refugees in one largest refugee camps in Europe at that time - Idomeni. 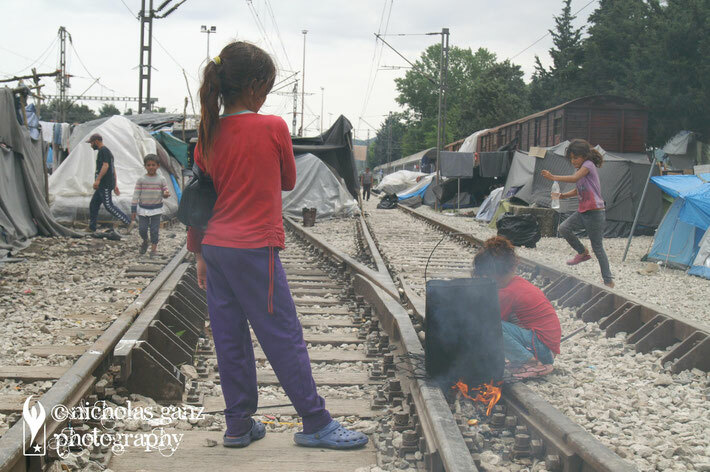 Idomeni was located at the border to Macedonia and at times about 14,000 refugees lived there after they fled the war in Syria and elsewhere. 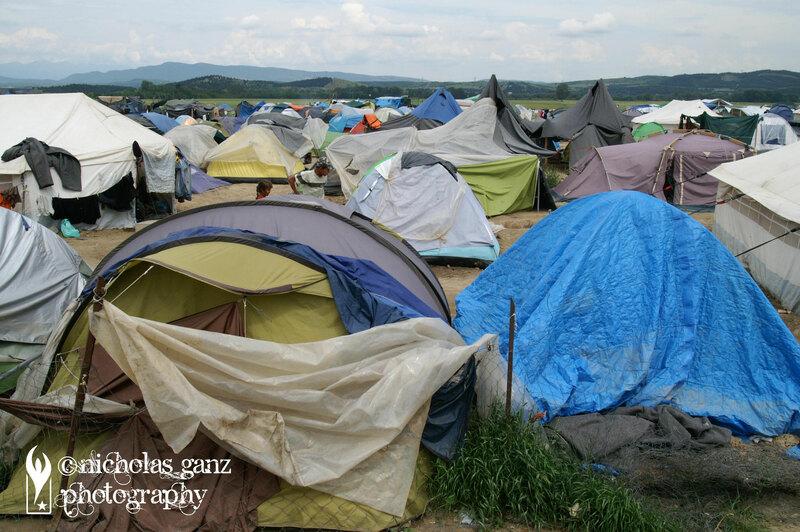 The living conditions were very hard and almost daily, protest took place. 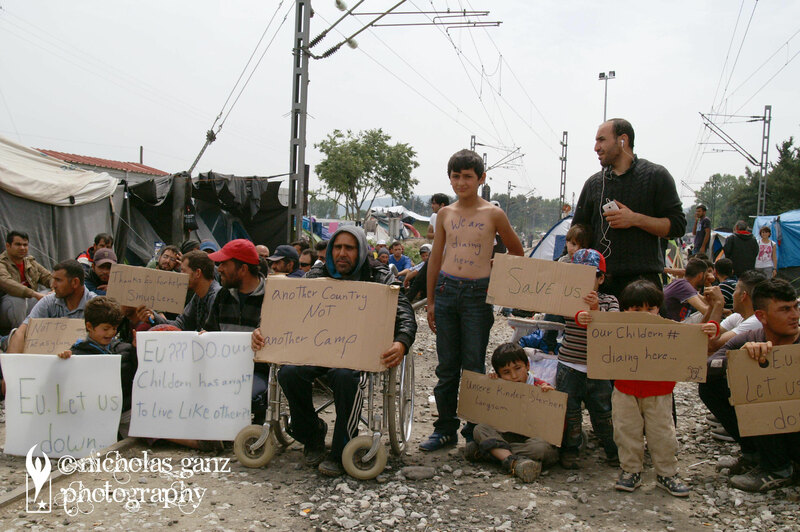 Abvout two weeks after my visit, the whole camp was evicted by Greek police and the people had to move into government-controlled camps, where access was very hard to document their situation there. The tent-town nearby Idomeni, where partly several thousand refugee took shelter. 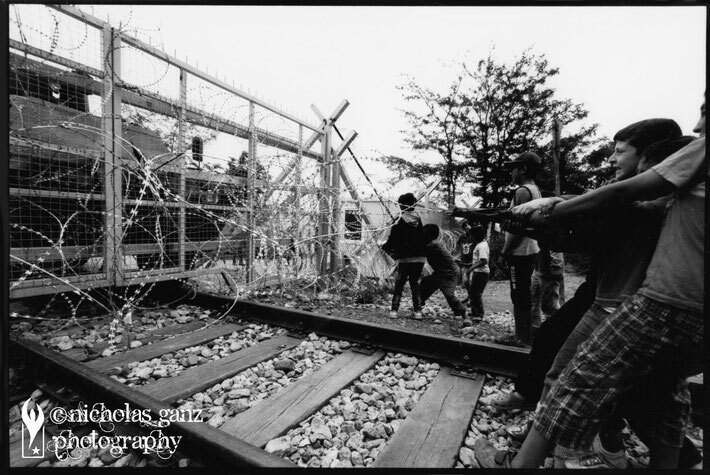 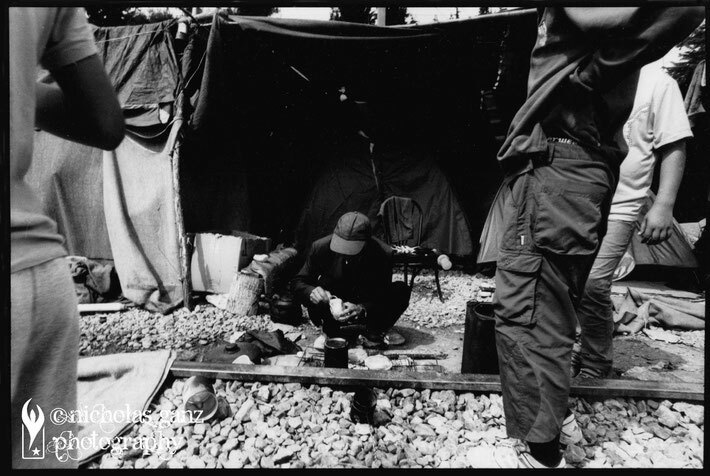 Most of the life of the refugees took place on the train tracks. 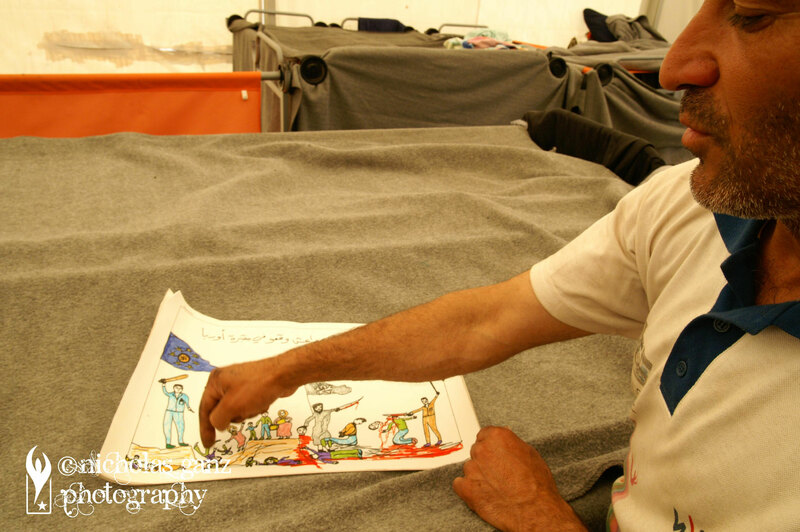 Ahmed Hussein shows the paintings he did to cope with the atrocities, he witnessed in Syria and the dead end he realised in Idomeni. Children are pulling at the fence, that prevents them from moving forward into Europe. 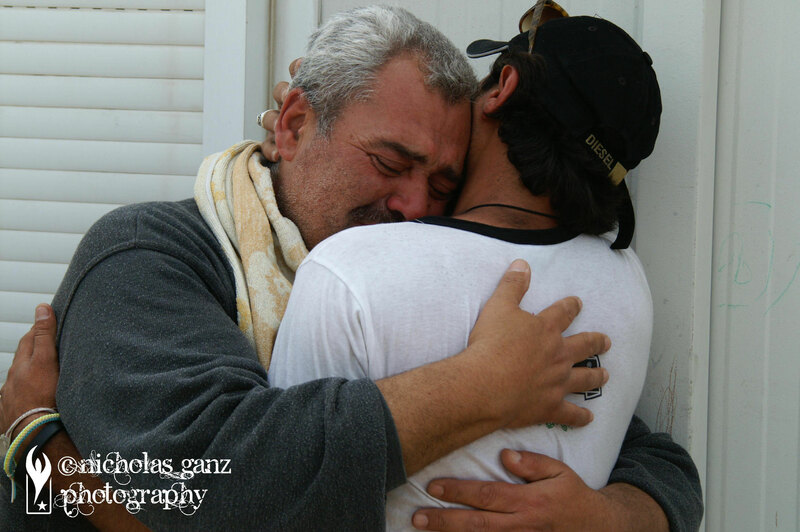 A father says good-bye to his son, before he got departed with a bus to another, government-controlled refugee camp.